Big rod-caught turbot can weigh 9 Kg (20 lbs) or more. The average turbot weighs around 3.2 kg (7 lbs). The turbot is a left eyed flatfish, meaning that when viewed from straight on, its eyes are both on the left hand side of its body. It has a rounded diamond-shaped body which is scale-less and speckled brown on the back with a white underbelly. Despite not having scales it is covered with tiny rounded lumps or “tubercles” and has been known to reach lengths of up to 1 metre. Small whole fish such as sprats, sandeels or pouting make the best bait for turbot. Strips of fresh fish such as mackerel and herring are also effective. The turbot is best caught in the summer months, with June, July, August and September providing the best sport. 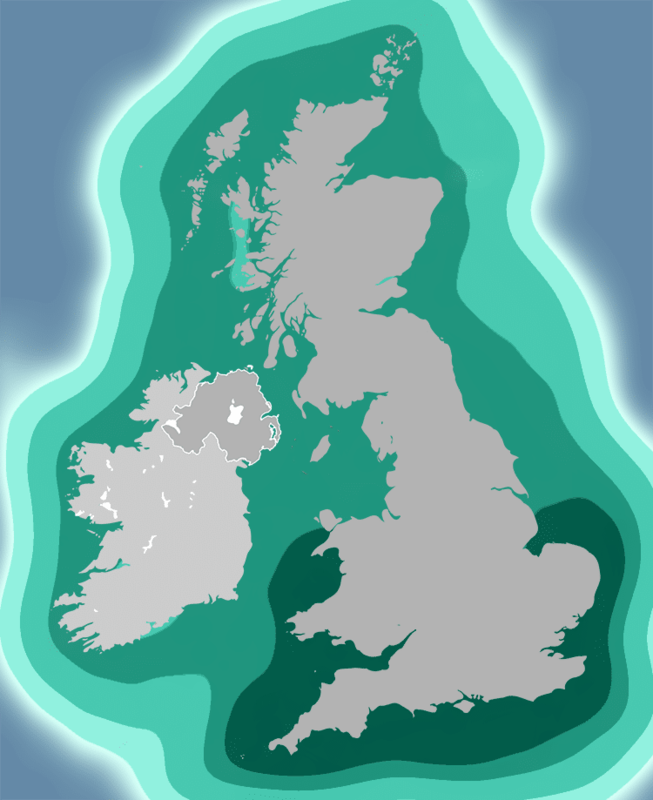 From October to May it retreats to deeper offshore water, where it can still be caught. The turbot likes to feed on sand or sand/mud seabed, generally around 1.2 Km (¾ mile) offshore beneath about 14 fathoms (25.6 m) of water. It is also known to feed in comfortable sandbanks in shallow water much closer inshore and to descend to about 40 fathoms (73 m) to find a suitable ambush spot. 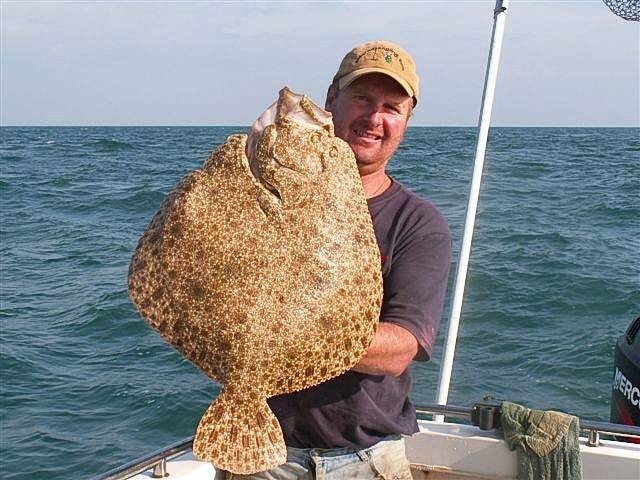 Turbot can be caught across most British waters, with the best catches along the southern and south western coasts of England. A basic leger rig or a running paternoster rig are the best options when fishing for turbot from the shore. A boat leger rig is the best option when boat fishing for turbot. Turbot favour live baits. A small fish, hooked through its upper jaw, behind the lip, is almost certain to attract turbot. If you’re using freshly killed whole fish or fish strips instead of live fish, try to put motion into your bait by raising and lowering your rod regularly to recreate the actions of a live fish. Once you’ve hooked a turbot, be as gentle as possible. Turbot have very soft mouths and so the hooks often rip through their mouths, letting them escape! Reel-in hooked turbot with as little applied pressure as possible, raise the fish from the see using a large landing net. Turbot travel in small groups when looking for food. Once you’ve caught one turbot, cast out again to find your second or even third turbot!